NLMS has been running summer schools for over thirty years. The 2018 Summer School was a huge success, with record attendance and great music making by all the ensembles and friendly support from our amazing team of tutors. The 2019 summer school will take place from Saturday 3 to 10 August, in an exciting new location – Downe House School in Cold Ash, near Newbury in Berkshire. Downe House is a girls’ boarding school and an ideal venue for our music summer school. Musical accommodation is plentiful, the residential accommodation comprises single and double rooms all with wash basins, catering is very high quality and the buildings are accessible and close together, with parking nearby. Situated only a few miles from the M4 and A34, and from Newbury station, the school has excellent transport links. Extensive and beautiful grounds as well as a swimming pool complement the facilities available to course members. And of course we will be setting up our usual bar! Overall, Downe House is a wonderful venue for enjoying friendship in music. NLMS offers a challenging and enjoyable week of music making in a very friendly atmosphere. Two orchestras, a choir, a brass ensemble and a string group provide a wide variety of courses to suit all abilities and interests. 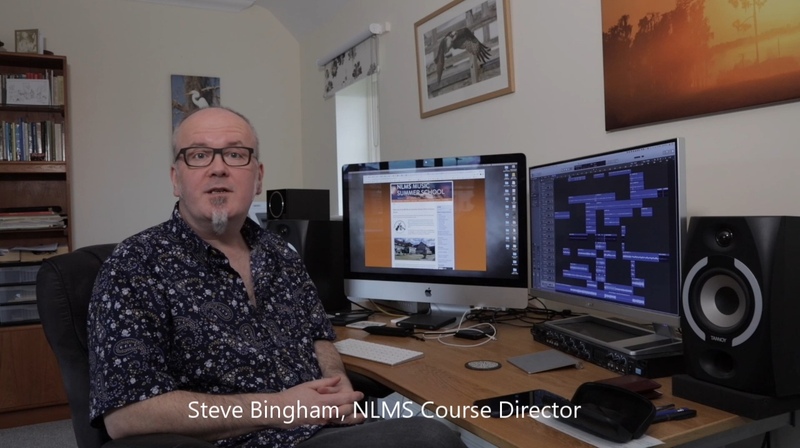 A feature of NLMS Music Summer School is the very high ratio of tutors to participants, with a professional tutor for each instrument and each voice. Each course enjoys wide-ranging and exciting repertoire. A wide range of optional sessions is open to all, complementing the main courses. In 2019 these will include baroque strings, woodwind ensemble, open strings and an evening of light orchestral music. An open choir session on the first evening will feature Rutter’s Gloria, and our open opera session which we successfully inaugurated in 2018 will feature Mascagni’s Cavalleria Rusticana, giving all course members the opportunity to join the opera chorus and work alongside professional singers and instrumentalists. Concerts take place each evening, given both by participants and professionals. We aim to provide enjoyment through music-making and, while we achieve high standards of performance, this is never at the expense of friendliness and good humour. I hope to see you at our new venue in August 2019 and, whether you are a regular attender or a new member, you can be assured of a warm welcome. Whether you are one of our many frequent returners, or thinking about coming for the first time, at NLMS Music Summer School you will enjoy a wealth of music making activities, professional tuition in an encouraging and supportive atmosphere, with excellent food, convivial social activities, beautiful surroundings and lots more besides. We’re looking forward to receiving your application! The courses are filling up fast, so we recommend you apply as soon as possible, and by 30 April 2019.